Modern morocco in antique style. π8 a8 b-o6 p8; 101 leaves (of 102); wanting p8; some contemporary(?) annotations; spaces for initial capitals, unrubricated throughout. 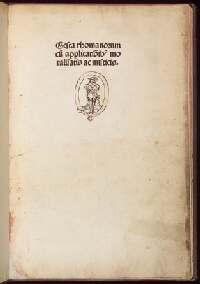 Ad R. R. Franciscanos Bibliot: (signature; π2r).